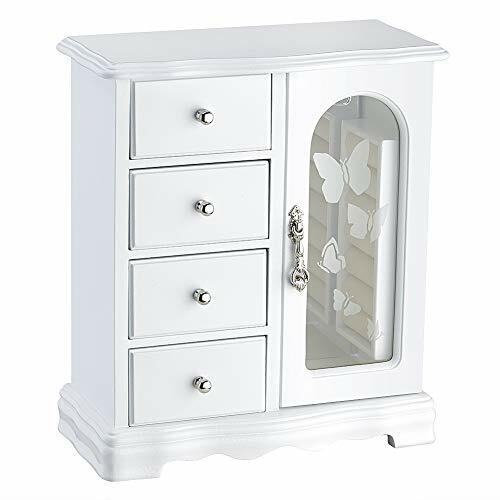 With butterfly theme, Cabinet three-dimensional design, Selected materials and fine workmanship create a fashionable look adding decor to your home. Wedding gifts, birthday gifts, this is your best choice! Environmental protection material,add elegance to this jewlery case, durable. Moisture and corrosion resistant. Velvet liner is moisture and corrosion resistant and offers a clean storage environment for jewelry. Wooden Jewelry Box Case Material: natural real hardwoods, Anti-Tarnishing velvet lining Surface Cover Material: Environmentally-friendly paint, glass. Application:Store jewelry, jewelry accessories. Care and cleaning: Wipe clean, put in shade, dry, ventilated. Color: White Weight: 20 pounds Compilation details: Does not require compilation. Placement position: Shading. 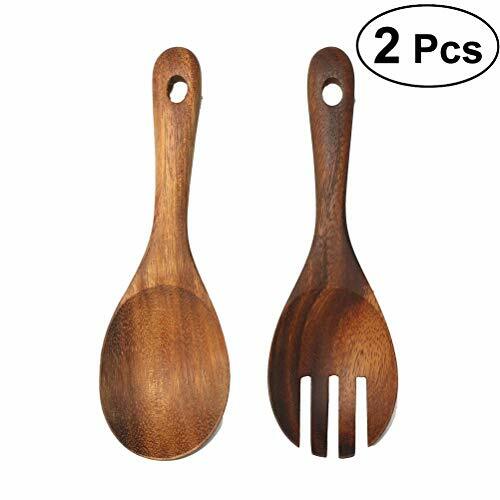 Amazon size: 9.5″ x 4.75″ x 10.75″ (L*W*H) 3-drawers internal size: 3.2″ x 3.2″x 1.8″ (L*W*H) Compilation details: Does not require compilation. THE ROUND RICH HIGH-GRADE JEWELRY BOX:High-end natural hardwood structure, Anti-Tarnishing velvet lining, exquisite hardware decoration, harmonious color match, highlighting taste and nobility. Packaged in a beautiful GIFT BOX, a gift that girls will not refuse! External design:The top and bottom adopt the unique design style of wavy shape, 4-Drawers storage, each drawer has a silver handle. It looks beautiful and easy to open or close the drawer. 360 degree fully open butterfly pattern revolving glass door, adsorption of magnets when closed. The appearance is smooth, clean, comfortable and beautiful. Internal Multifunctional Design:Removable square drawer on the left, large space storage, It can store necklaces, bracelets, earrings, earpins, hairpins, watches, rings and other jewellery accessories. The right side is equipped with stereo lenses, making it easier to choose jewelry to match your own clothes; The top is equipped with necklace carousel horse, which can hang a variety of jewelry; and a multi-layer velvet ring storage device. 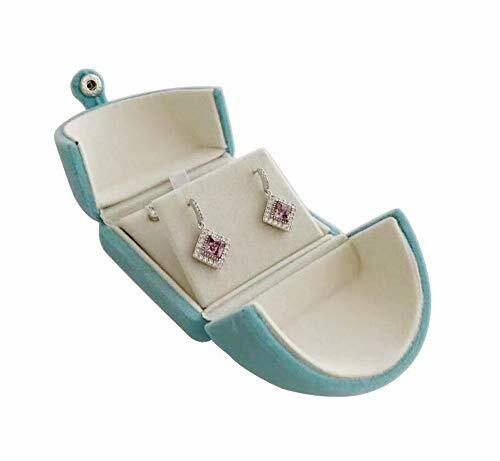 Size:Jewellery box 9.5″ x 4.75″ x 10.75″ (L*W*H); Drawer Internal Space 3.2″ x 3.2″x 1.8″ (L*W*H); Mirror Size: 3.5″ x 9.25″. This elaborate jewelry box will protect all your accessories from scratches and offers a clean storage environment for jewelry. Round Rich is committed to offer you a 100% satisfaction guarantee. Our 24-hour friendly customer service love to help you with any displeasure. 30-day Money Back and One Year Replacement Warranty means your purchase is protected by Amazon. 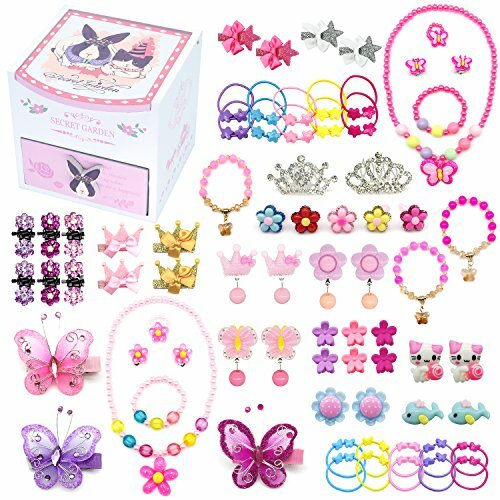 It’s a good gift choose to your princess for dress up, pretend play and ect. 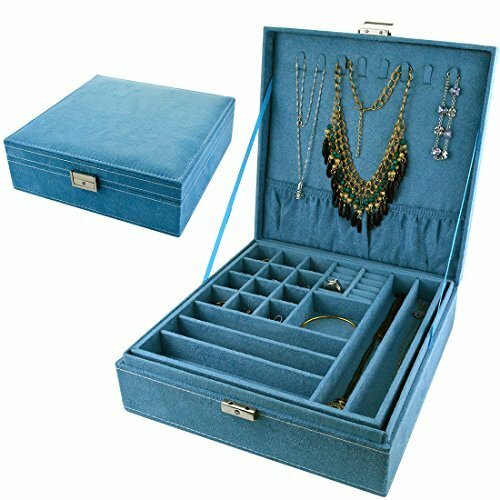 Our jewelry case has two layers that the first layer has 12 small square grids for earrings, 5 rectangle grids for necklaces & bracelet, and 2 rectangle grids for rings. The second layer is designed for bracelet. What the surprise is there are still space for necklace on the box’s back. It’s a jewelry chaos killer for women. Why are you still hesitating? If you have any questions before or after buying, please don’t hesitate to contact us. We will be delighted to solve your problems. If you are unsatisfied with the broken mistake which is due to the package and logistics, please feel free to contact us. We will try our best to give you a satisfied solution. Press the ” Add to Cart ” button right now. Don’t letslip an opportunity as it may never come again. PRODUCT HIGHLIGHT: The lock with silver plated is fine and solid. The lock is made of high quality material, which is not only exquisite and durable, but also environmental friendly. What’s more, it is not easy to get rusty. The high-quality lock still be smoothly in unlocking even though it through tens of thousands of usage. SHAPE AND APPLICATION: It is very practical and having beautiful retro style. It is suitable for you to store jewelry, watches and accessories. 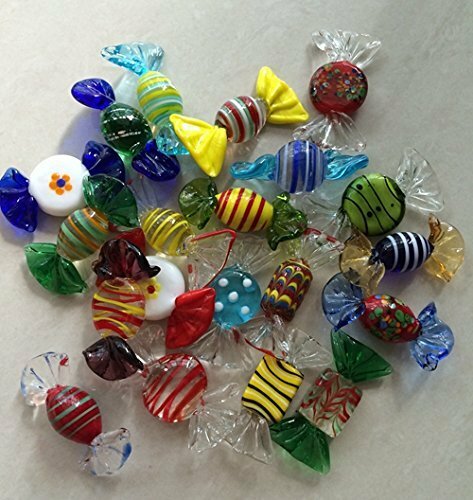 What’s more, it is a perfect gift for you to send other people as a gift for their birthdays, weddings and other festivals. At a high temperature of 3000 degrees of manual operation is complete. Color may vary slightly due to different display. About this item: Javier and Efrén present a stunning set of six, blue-rimmed glasses. 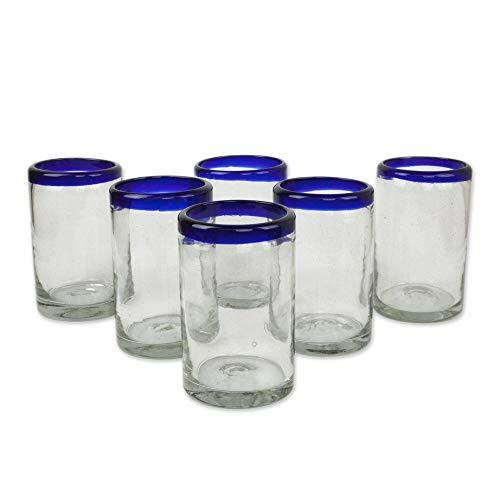 Each glass is individually handcrafted to bring you the magic of quality Mexican art blowing. Size: 5″ H x 3.2″ Diam. ; Capacity: 14 oz. 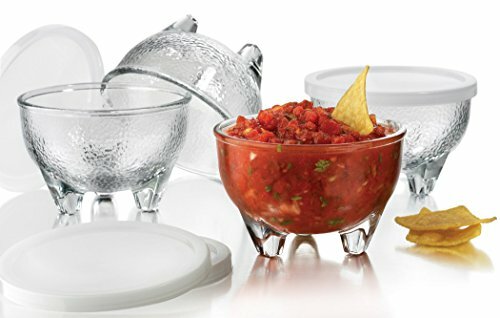 Set contains four 10.5 ounce footed glass bowls and four plastic lids. 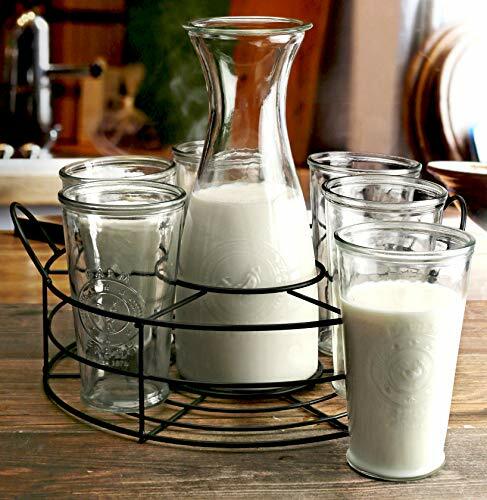 It makes a great housewarming, host or wedding gift. Dishwasher safe. 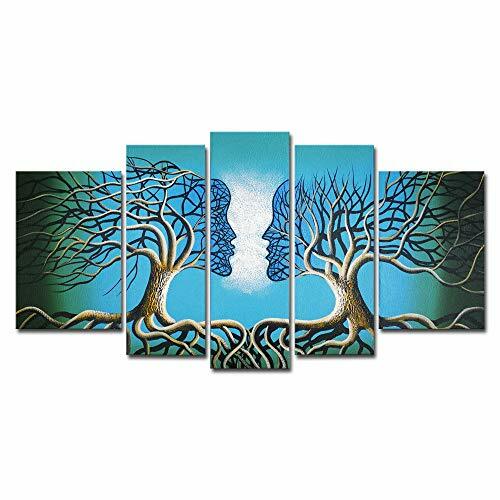 5 pcs huge size gallery wrapped love people canvas oil paintings wall art set ready to hang for home decorations wall decor, each panel has a black hook already mounted on the wooden bar for easy hanging out of box. Authentic Wieco Art Paintings and Wall arts are packed in carton box with “Wieco Art” logo printed on each box.A perfect choice for wall decor, home decorations or office decorations. ❤❤❤Scroll and click Add to Cart to purchase this product.